Everybody (and their grandma) already know that so-called or user-friendly URLs (or clean URLs) are good for SEO. Not only that, but clean URLs are pretty, easy to remember and cool. In previous two examples rewritten URLs are clearly better looking. They're also more professional looking and people are just more likely to click on them. I mean, aren't you? In the previous two examples, rewritten URLs are clearly better looking. They're also more professional looking and people are just more likely to click on them. I mean, aren't you? Of course, there's another great advantage of URL Rewriting: original query strings used to retrieve blog posts can change and the rewritten URL can stay the same. There's also the security factor of rewritten URLs: they hide how the site works, meaning users don't really know what query strings are used and what is happening behind the scenes. OK, so, how do we get clean URLs? Well, it's simple, really. There are a lot of technologies for getting clean URLs. First, of course, is rewriting. The bottom line is you can use the IIS rewrite module for IIS which enables both simple and robust URL Rewriting based on request headers, IIS Server Variables and other rules. You can download URL Rewrite from IIS.net website or install it using Web Platform Installer. To learn more about URL Rewriting using IIS Rewrite module visit my previous blog post, or of course, more advanced Ruslan's blog. He's a Senior Software Design Engineer on the Microsoft Windows Azure team, so you're bound to learn a lot more by visiting his blog. So, what is ASP.NET routing? Well, routing is a feature that enables us to map specific browser requests to primarily ASP.NET MVC controllers and actions, but routing can be used with Web Forms as well. In previous versions of MVC, routes were configured in Global.asax, but in newer versions of MVC, routes are configured by editing the "RouteConfig.cs" inside the "App_Start" folder. The default route lists three parameters, with configured default values. For example, default value for a controller is "Home". If the "controller" parameter is missing, it will default to "Home". If the action is missing, it will default to "Index", and if id is missing, it will default to an empty string. So, it really doesn't take a lot of imagination (or programming, really) to use routing to help us make our desired clean URLs. For a deeper understanding of routes and various route trickscheck out Phil Haack's blog. There are some doubts whether is this actually a problem. 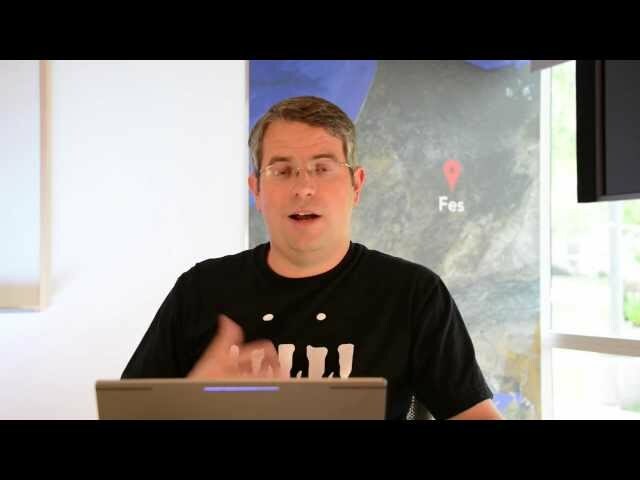 For example, in this video, Google's Matt Cutts kinda says duplicate content shouldn't be a problem, but I think it's better to stay safe. If Google is THAT smart, maybe other search engines aren't. Anyway, duplicate content can be a problem, because often search engines don't know which version of the document to include on the result pages. In all those examples the search engine can be in doubt which page to show. Specify the canonical page using rel="canonical"
The HTTP 301 status code means that the page a user (or a bot) is trying to visit has moved to a new location. By using 301 redirects to a new location you're letting the user agents know a new location of the page. So, you basically need to decide which is the preferred URL of a page and when a user or a spider visits any other URL version of that page redirect them to a preferred URL. The very act of redirecting is basically easy. You have several options to use, including .htaccess on Apache servers or through URL Rewrite module on IIS. TIP: If you're using slugs in your URLs, but get the data from the database, using a numeric value like for example, Stack Overflow does, you should do a redirect each time when you get a different slug from the one stored in your database. Have a content slug (for example slug for this content is: "seo-for-developers") stored in the database. A slug can be automatically generated or have users enter them via CMS. Whatever. Use a numeric ID to get the data from DB. When you have the data from DB, compare the stored slug with the one you got from the query string. If they don't match, do a 301. So, it's kinda like a permanent redirect to a preferred version of the page. But, how do we "specify canonical page"? Well, we "Add a rel="canonical" link to the head the section of the non-canonical version of each page. ". Using the canonical link tells the Bing, Yahoo and Google search engines where the preferred content is. Just remember, link rel="canonical" can contain both absolute and relative URLs, so don't sweat about it too much, just pick a format and go with it. What's the deal with pagination and paginated content? Well, the deal is, the content is spread out across multiple URLs, and unless you have a View-All page, the search engine may have trouble understanding that content is consolidated and view each page as a slightly different content, which means it can reduce the impact of your content as it's spread out across multiple pages and no single page gets a big impact. Link rel="prev" and like rel="next" basically help search engines understand each individual page as a part of the "series" of content, which in essence helps them to present the best, most relevant page to the user (usually page no. 1). "...as part of that effort, today we're including a new signal in our search ranking algorithms: site speed." CSS Sprites enable us to store the graphics we need to display menus, icons or buttons in one big image while showing only a part of that image at a time. This helps to reduce the number of HTTP requests, which increases site speed. This isn't really a developer thing, it's more a designer thing, but you can check out my earlier blog post for more information on CSS Sprites. This means: "remove all unnecessary characters from resources to make them smaller and lighter." There are tools to do this, like: JSMin&nbsp;or YUI Compressor, but since you are a developer, you can even write your own, if you want to learn something new and spend a little free time. For example, I use the new bundling and minification features in ASP.NET. These few are only examples of what can you do. There are of course other things you can do to improve site speed. A great place to start would be checking out Yahoo's Best Practices for Speeding Up Your Web Site. YSlow, a free tool from Yahoo! If you use redirects for mobile devices (which you shouldn't do) you should include link rel="alternate" in your desktop pages. A lot of wins come from knowing the HTTP Status Codes and using them correctly. Here's the list on Wikipedia. Study it. Know what status code to use and when. For example, if a page doesn't exist, returning a 200 OK status code and a "Page not found" message is BAD. You can also tell Google (using Webmaster tools) that your website has moved to a new domain. To do this, simply log in to Webmaster Tools, click on a site and in the dropdown preferences menu select: Change of Address. While social buttons aren't having a direct impact on SEO, they make site's content much easier to share with others using their favourite social networks. This means their friends, followers or what have you will visit your site and maybe share it further, maybe even link to it on their own site etc. So, how to share? Schema.org tags are another result of collaboration between Google, Bing and Yahoo. These tags help developers and webmaster to indicate to the search engines what their content is all about. If these tags are properly structured, search engines can read them and understand the meaning of a certain web page content. This is how you get those rich snippets you see when searching. This does not have any effect on ranking at this time, but your site can look better in&nbsp;the search results, which can lead to more traffic. This concludes our little list of stuff we as developers can do to help SEO both directly and indirectly (by giving the right tools to people that may know more about SEO than we). Note that I included only stuff that's proven and that people who work at the search engines tell us themselves. If you feel I forgot something important, feel free to leave a comment and a link to your site. Please, no shady or black hat stuff, as this won't help people and your comment will be deleted. Also, do yourself a favour and stay away from guys that promise stuff they can't deliver (or possibly can, but using techniques that will get penalized in the next search engine algorithm update). My advice is: try to write good and helpful content, stick to common sense, use keywords in articles wisely (don't blindly stuff your articles full of keywords)n and the results will come.